The Lenex collection is made from technologically advanced leathers, polyurethanes and moisture transferring polyesters to keep the foot in a healthy, cool environment. 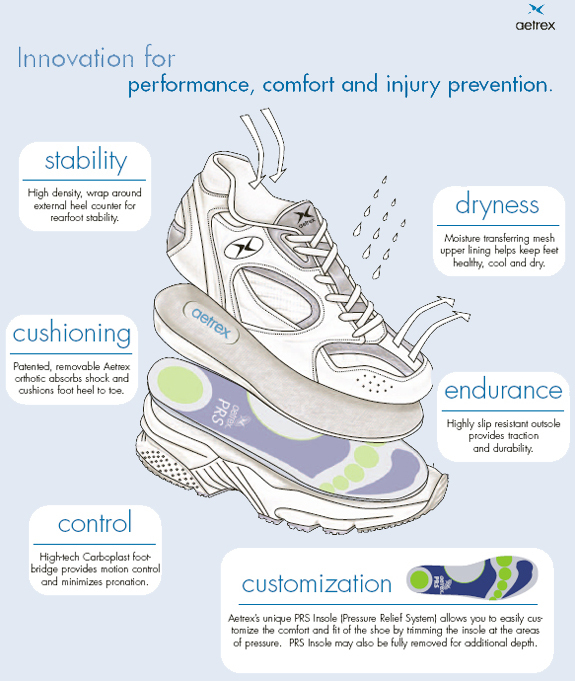 These innovative athletic shoes come with patented, removable Orthotics and PRS (Pressure Relief System) Insoles for customization of fit and comfort. The Lenex biomechanically engineered, multi-density midsole features a Carboplast foot bridge for motion control and stability. 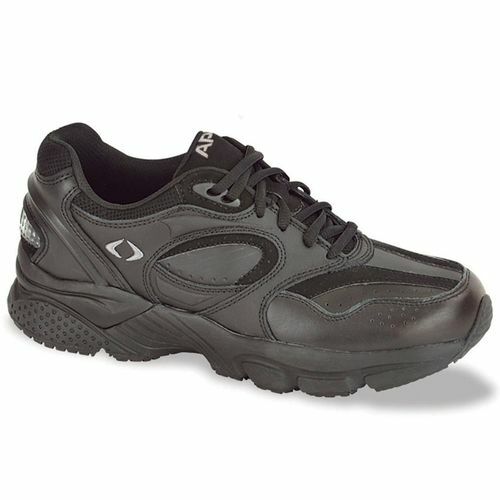 The highly slipresistant Lenex outsole provides traction and durability. The unique Lenex last is semi-straight to fit many foot types and provides a high, wide toe box for forefoot comfort and biomechanical efficiency.All Lenex materials are light-weight, soft and provide unmatched comfort. -Black shoe with Gray Accents. -Available Widths per size: M(C/D), W(E/2E), XW(3E/4E). PERFECT This is my 2nd purchase from Orthotic. Both times I have received an item that was exactly as described. Shoes are sturdy yet comfortable. As long as you know for certain what size you really need, you are not going to be disappointed. It is "risky" buying shoes you can't try on first but this is a reputable company: just measure your foot first or at least read the tag on the ones you are now wearing. This is the second pair of these shoes I have owned and worn. This second pair seems to be a little shorter and narrower that the first pair.